I like cloth napkins. I like having a substantial bit of cloth to completely cover my lap, catch crumbs, and absorb spills. I can launder them and reuse them over a matter of years and both my pocketbook and my conscience are satisfied with not having to buy consumable paper products. My husband prefers paper napkins. He says that once he’s used a bit of the cloth napkin, he’s never sure where a clean spot is for the next swipe of his mouth. 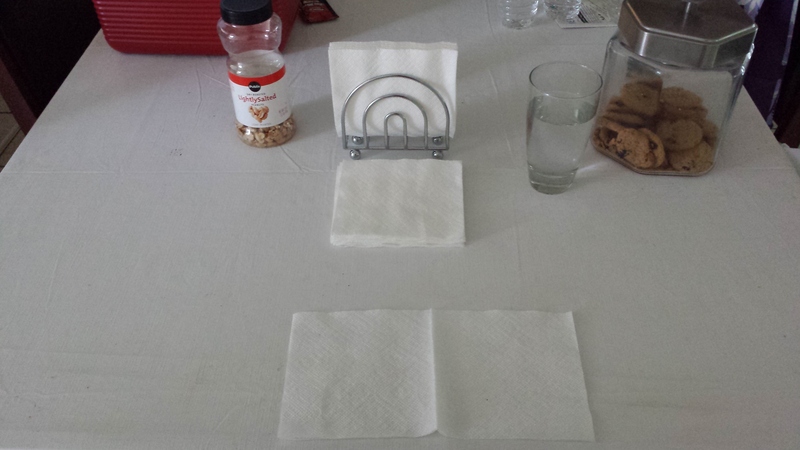 In the spirit of marital harmony and choosing my battles, our household uses paper napkins. I also like using generic products when they are of equal quality to name brands, but we’ve found that Bounty napkins are really better than generics or any other name brands. So, we have really good paper napkins. So good that Mom saves hers to reuse until she feels they are truly used up – which never actually seems to happen. I end up throwing away the used napkin stack every few days to keep it from taking over the table. Since she is at home during the day, the napkin holder is right by her seat at the table so she can easily reach it at lunch time. At dinner time, since I sit in the middle of the table, I take napkins from the holder and pass them to my husband. A few weeks ago, I handed him napkins from the napkin holder and he immediately protested that they were dirty, and so they were. I asked Mom if she was putting dirty napkins back in the holder, but she said she wasn’t. We finally decided that the cleaning ladies, who come every other week, must not realize that the stack of napkins are used and had put them back in with the clean napkins in the holder. I started trying to remember to throw them away more often. My husband also keeps a short stack of paper napkins on the dining table near his lunchbox, so he’ll remember to take them each day. Last week he came home from work and told me that he had found that the napkins in his lunchbox had been used ones. That night at dinner, when he asked me to pass him a napkin from the napkin holder, I cringed a little, and carefully examined the paper napkins before handing them off. I couldn’t take it any more. Fortunately, there’s a Target on my way home from work. 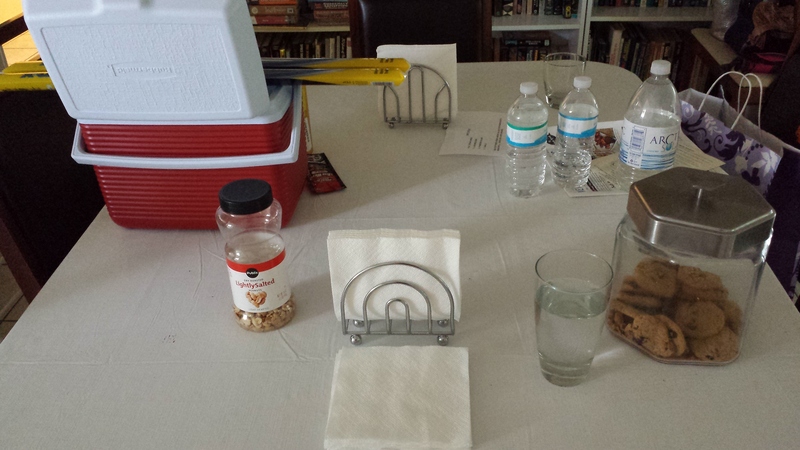 We now have two napkin holders for the table. And I’ve asked Mother to start throwing her paper napkins away after every meal, but as these photos were taken this morning, you can see just how well that is working.